Hey, Why Hasn't Anyone at the New York Times Seen Good Burger? The internet has recently burned its way through another meaningless ouroboros of enthusiastic self-trolling via the #AlexFromTarget "phenomenon," in which a checkout-line cutie pie got Twitter famous and a bunch of dummies rushed to alternately take and deny credit for his Bieberesque rise to fame. One must actively strive to know as little as possible about stuff like this, but if you would like more of an explanation, the New York Times is on it. "Why did he thunder to online stardom?" asks Leslie Kaufman. "Was it a marketing stunt by Target? A hoax by a couple of bored teenagers? Or was it absolutely nothing at all?" Social media pandemonium over Alex started last Sunday when a young woman named Abbie posted the photograph on Twitter. The image acquired its own hashtag — #alexfromtarget — and Alex, who started with 144 Twitter followers, now has more than 600,000. The Alex phenomenon became the subject of news articles on the websites of Time, The Washington Post and CNN over the last two days. The Dallas Morning News tried furiously to confirm just which Target he worked for. Various Internet memes ensued. 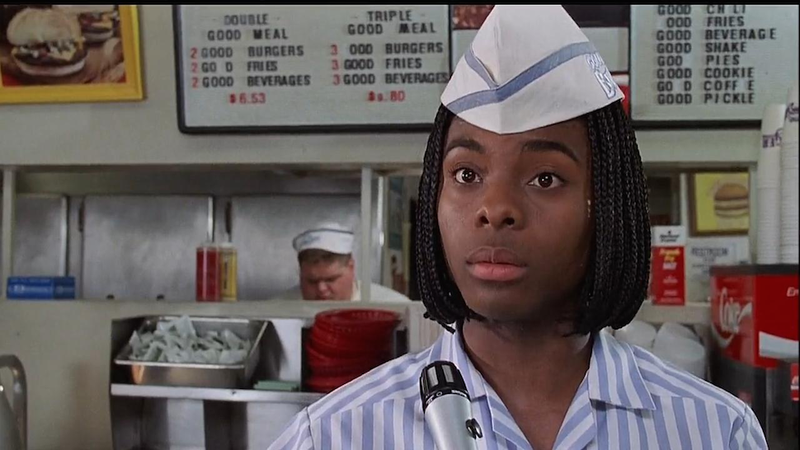 Some began snapping photos of other teenagers in jobs, for example: Kel from Good Burger and Kieran from T-Mobile. There were Alex imitators posted on the video service Vine. Snapshots of Kel from Good Burger were taken. By me. I took that photo up there at the top. "For Idiots, Hope Springs Eternal." Everyone have a wonderful day.